Protect, waterproof and restore your roof with our high-quality range of roof renovation and repair products. 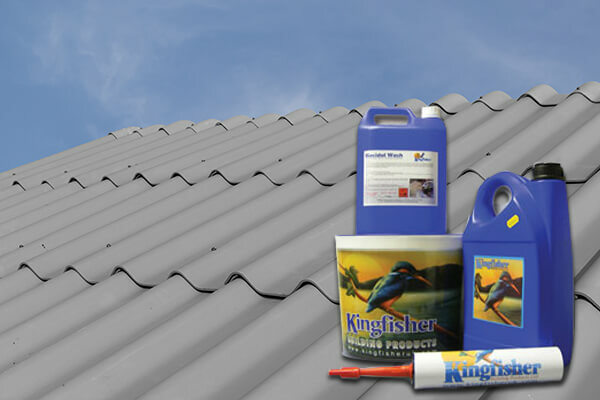 Kingfisher Building Products manufactures a variety of roof coatings, Roof Paint and Roof Sealers. They are designed to restore roofing and reverse the effects of sun, wind, rain and frost damage. Whether it is the roof covering your home, or a flat roof above your kitchen or garage, our roof paint is long lasting and easy to apply. If you’re looking to waterproof and seal your roof felt or seal small cracks to stop leaks, we can help. Our roof coating paints are specifically formulated to provide durable and long-term protection to your roofing. 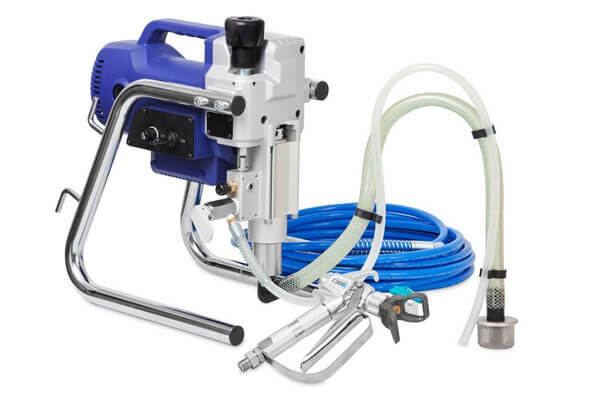 They are easy to apply to building materials and we even supply spray equipment, perfect for use with these products. Roof coatings, primers, repair compounds, sealants and membranes are vital for use on roofing exposed to bad weather. Waterproofing coatings and roof paint can make a significant difference. 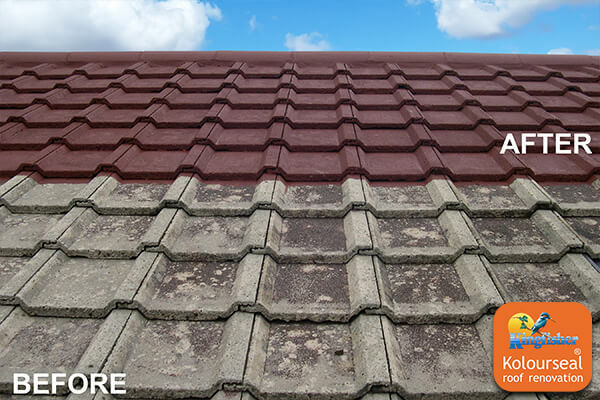 We can advise on the perfect product to make your old, tired looking roof, look like new. Having a waterproof roof can be easy using our paint for asbestos roof slates. If you are looking for roof repair paint for asbestos roof slates, lead renovation paint or anything in between, we can help. Our wide range of roof paint is of the highest quality and will never fail to impress. We understand that leaking roof repairs can be costly as well as stressful. We are confident that we have the kind of roof repair product that you need. Our range of roof primers, paints, coatings, sealants and membranes is available to order online for delivery across the UK. Don’t hesitate to contact us if you require more information regarding our roof repair liquids and waterproofing coatings. 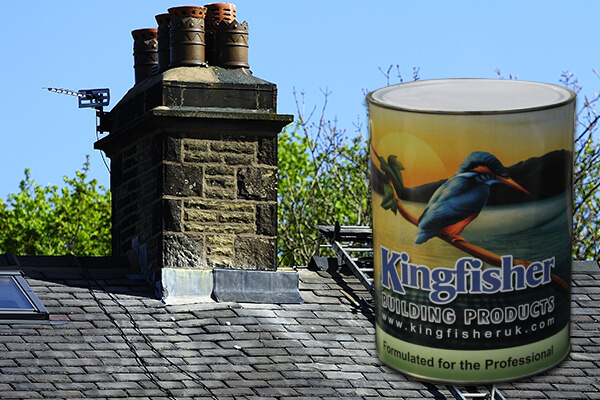 As a "Kingfisher Approved Roof Coating Applicator" you will benefit from our technical knowledge, marketing/advertising advice and be eligible for discounts off our product range of up to 30%. 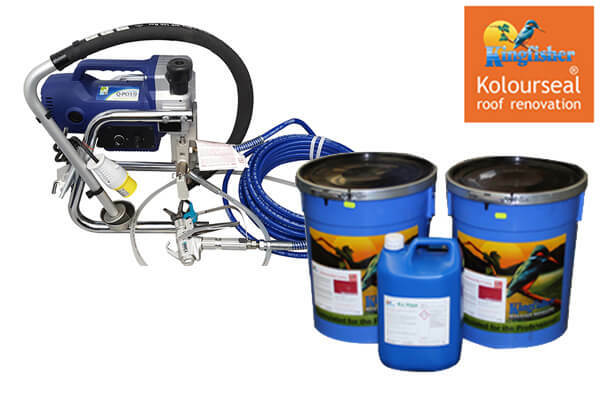 Kolourseal flexible roof coating, is a range of advanced 10-year polymer clay and concrete roof tile sealers, developed specifically for roof tiles, roof sheets and other roofing materials. This roof tile paint acts as a sealant which repairs and protects roofs. Controls Moss, Mildew & Green Mould! 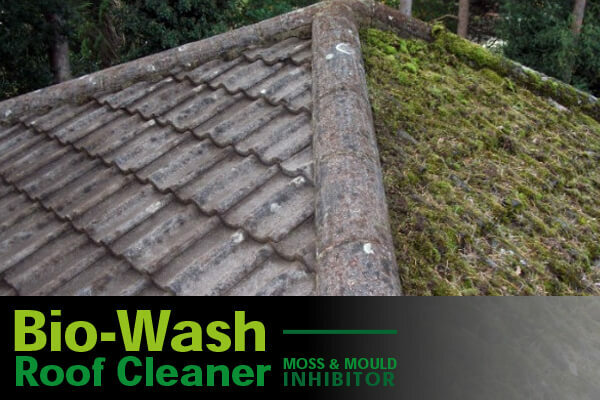 Kingfisher's Bio-Wash Patio & Roof Cleaner is a moss inhibitor and patio/roof cleaner and repair agent, dilute with water to make a high-quality moss killer for roofs. Old lead which has not benefited from the protection of Patination Oil discolours and loses its appearance as the surface stains white with carbonation and other environmental contaminants. We have a wealth of experience developing paint for lead roofs. Kingfisher Asbestos Roof Coating is a solvent free, high bond styrene acrylic coating which is ideal for re-coating a wide variety of asbestos cement roof and cladding sheets found on industrial buildings and older domestic garages. A kit containing all the materials that you need to restore an Asbestos roofed garage or "lean to" store of up to 22 square metres. Asbestos Sealer and Primer is a brush or spray applied, polymer primer and asbestos roof sealant which binds, seals and repairs old friable asbestos roof sheets, encapsulating harmful dust and fibres. This roof sealant spray can also be used indoors as it is Non-hazardous. 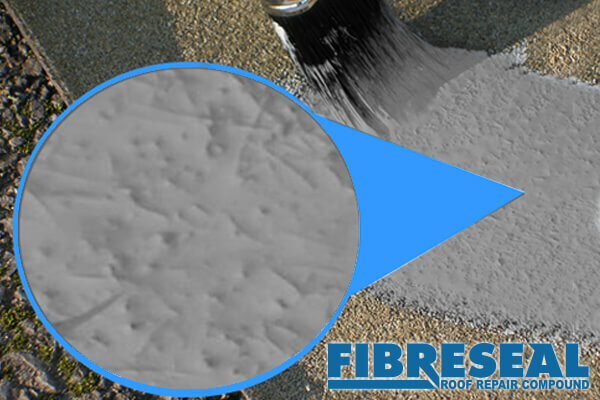 A Super tough, all weather roof repair compound, Fibreseal is a professional roofers repair product. 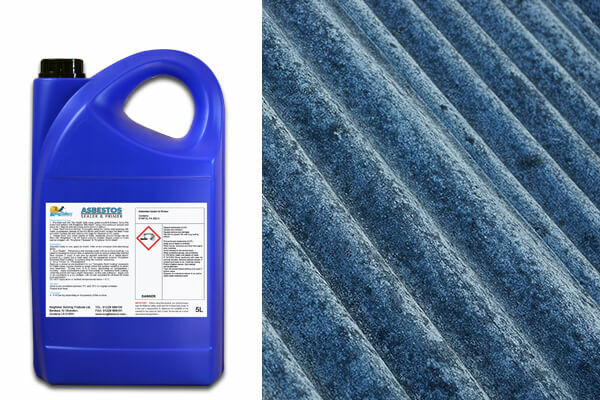 This flat roof repair compound comes as a thick fibrous paste which will adhere to any sound, dust free and non-greasy surface. Ideal for Flat Roof Repairs. Acrypol flexible reinforcement mesh can be incorporated into one application of ACRYPOL+ to bridge over major splits and cracks in roofs and gutters. 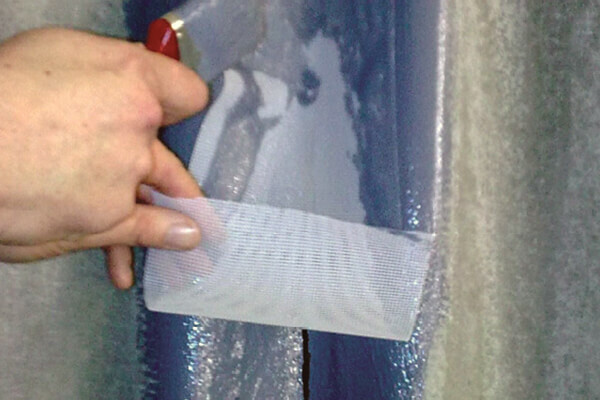 This roof repair scrim is unrivalled for bridging gaps and cracks in roofing and guttering. 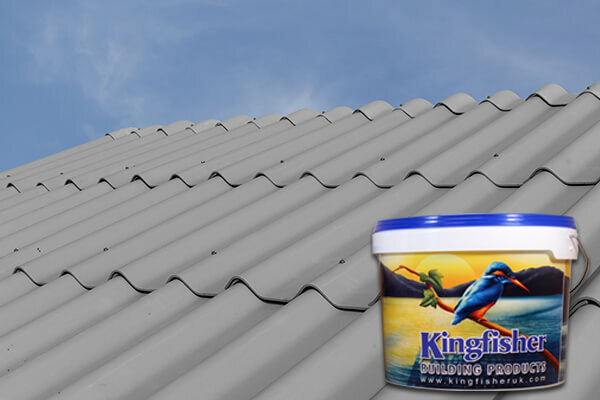 Kingfisher Lead Flashing Sealant Paint for rapid easy repair of lead flashing and roof joints and leaks. Bonds lead to concrete/brick/stonework and possesses excellent elasticity on high movement joints. Moisture curing. 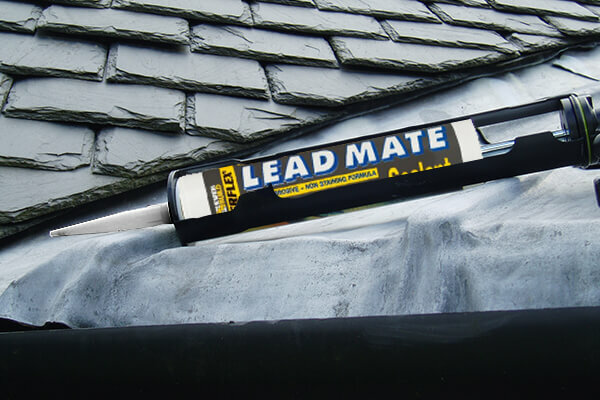 Lead Brite is designed to provide a protective coating for newly installed lead work. 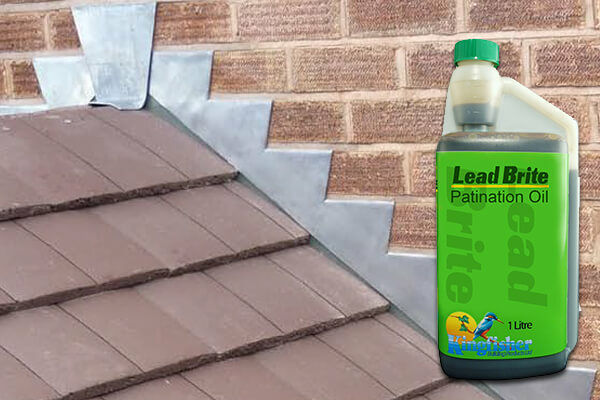 This lead patination oil inhibits the development of the white carbonate staining prevalent on untreated and older lead which often leads to staining. 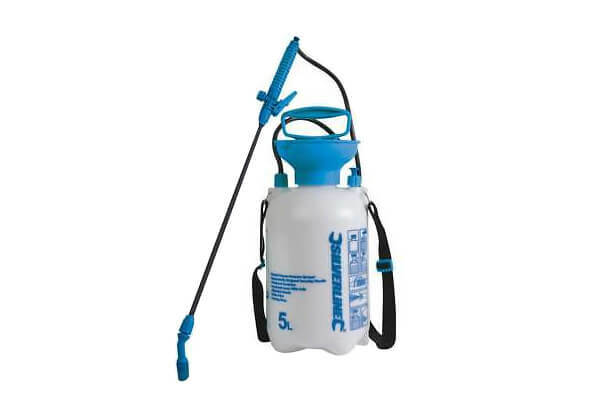 This compact weed and moss sprayer is perfect for applying water based products including: Kingfisher "Biocidal Wash" and Kingfisher "K-Seal Patio Cleaner".